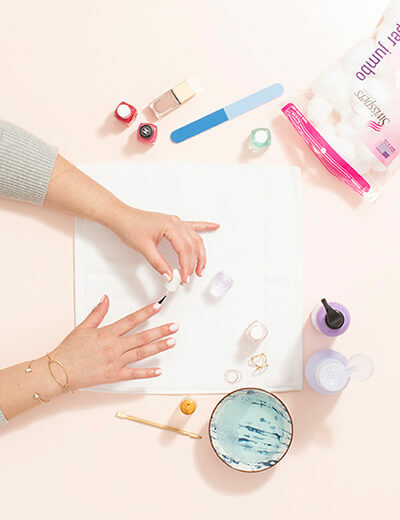 Get expert tips to give yourself a studio-level manicure at home. From working with celebrities on photo shoots to running my own studio, nail art is my full-time job. Even so, I get that it’s not always a possibility to spare the time or money needed for a professional manicure. That’s why I’m sharing my tips for achieving the same results—no appointment necessary! 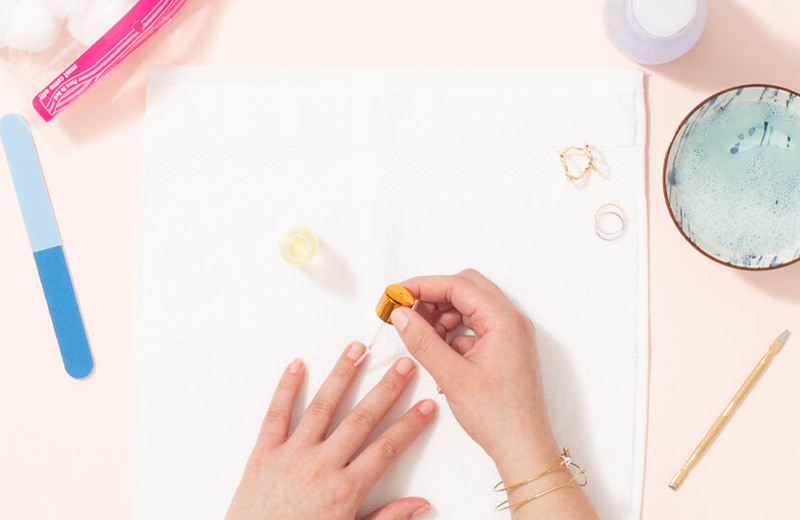 So grab your favorite nail polish and get ready for your best at-home manicure yet. 1. 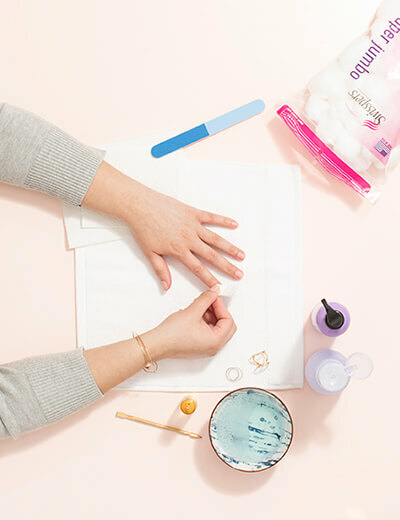 Take off any old nail polish with a cotton ball and remover. 2. 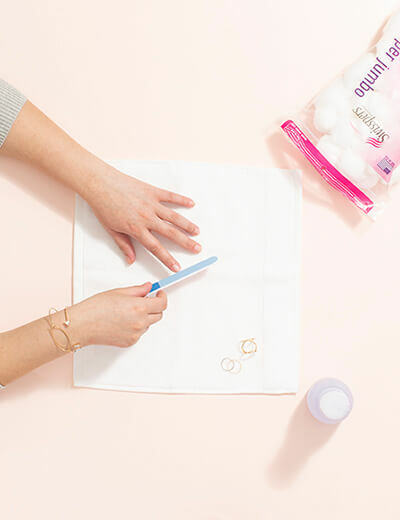 File your nails to the desired shape in one direction with a 220-grit nail file. A 220-grit nail file is softer and doesn’t tear natural nails—the higher the grit, the softer the file! 3. Soak your hands in warm water for one minute and then pat them dry. 4. Push your cuticles back with an orangewood stick or a cuticle pusher (the rounded sides for safer use). 5. Once your cuticles are pushed back, add cuticle oil around the cuticles and lightly massage it in. 6. Take‎ a little lotion and firmly massage it into your hands. 7. 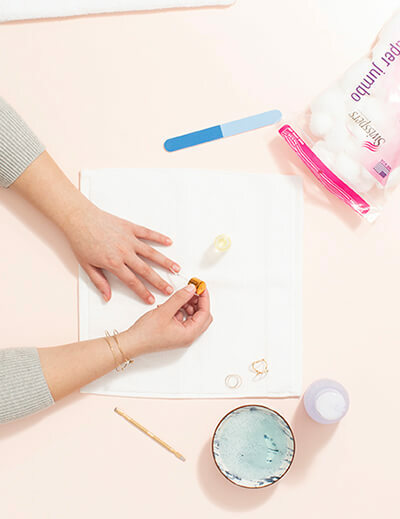 After massaging, take a cotton ball with nail polish remover or alcohol and remove the oils from the nail plate and side walls. 8. Apply the base coat, two coats of your desired polish, and finish with a clear top coat. Sunshine Outing is a celebrity manicurist and the owner of Pipbuzzz to Go. We’ll be sharing self-care tips all month long, so keep an eye on the “Live” category for the latest! Looking to treat yourself even more? 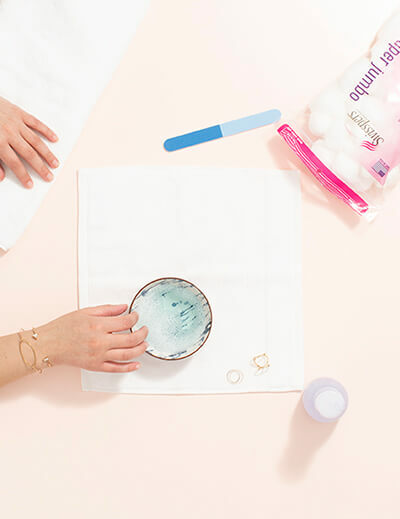 Order a Dia Box this month and you’ll be entered to win a prize from our self-care suite!